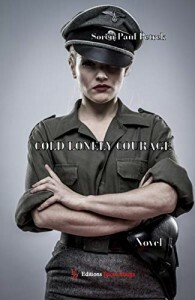 Cold Lonely Courage: Novel war (ENC.ROMANS) by Soren Paul Petrek. Price: 7.49. Genre: Military Thrillers Deal of the Day, Sponsor, Women’s Historical Fiction, Espionage Thrillers (Kindle Store). 364 pages. ASIN: B07MTML6CJ.